LADWP - Los Angeles Water and Power is more than just another Eastern Sierra acronym. In their free time they are known for lawsuits over water (Mammoth Lakes water), dust mitigation, leaflets under the front door/inciting anger from watch dogs, boring phone conversations about whose rights are senior (1914 vs. riparian), blah, blah, blah. My list is even longer, #yawn. The eyes of the Inyo are vast, often straining to see what is happening down on the Owens valley floor like the eye of Sauron. LADWP is on a quest, we first became familiar with this land manager as they tried to unfold a modern day water grab in Mammoth Lakes, CA. The judge in the Mammoth court wasn’t swayed by the change in venue that was requested, but by the end of the day Mammoth citizens were on the ropes for a few more million. What’s a few million between friends? Any casual google search will reveal that water flows uphill to money. And in case you are wondering, LADWP is a land manager – and now it is their turn in line to get hit with the MammothMC stick. It’s not something we reserve only for USFS, Friends of the Inyo, BLM, Park Service, Inyo Recreation aka CA Land Management, et all. If you feel that your organization has been unfairly left out, please reply and let us know. And yes, for all the screw-ups, Mono County is on our short list. As an Owens dry Lake stakeholder, I was told the LADWP wanted to hear from me regarding a ranch that was in the planning stages to be built somewhere down around Lone Pine. What can I say, ranches have a lot of history in Inyo/Mono so my curiosity peaked. LADWP’s ranch was solar, so one could expect that to mean a wide variety of things: they didn’t have a lot of shade and it was probably hot – but that’s just a consequence of draining the water out of the valley and letting the orchards and shade trees die; a solar ranch would have beautiful views in all directions; and lastly, while ranching under the full sun, cowhands would be bunking in cabins 100% off the grid powered by photovoltaics with a mess hall churning out locally grown foods via a full off-the-grid kitchen! Talk about sustainability! LADWP were the land manager’s doing it right – pride of the Owens Valley. Even John Muir was thumbs up as he looked down from the top of Lone Pine Peak. Hi Shilpa, I have a few environmental and cultural comments regarding this ranch. But let's start by considering the mis-name of ranch to a rather more appropriate moniker of factory. As a private land owner in the area I've set aside and ear-marked land near this proposed factory for a family retirement/vacation cabin. I'm concerned that the open space zoning is going to be overlooked in the favor of a more industrialized use. 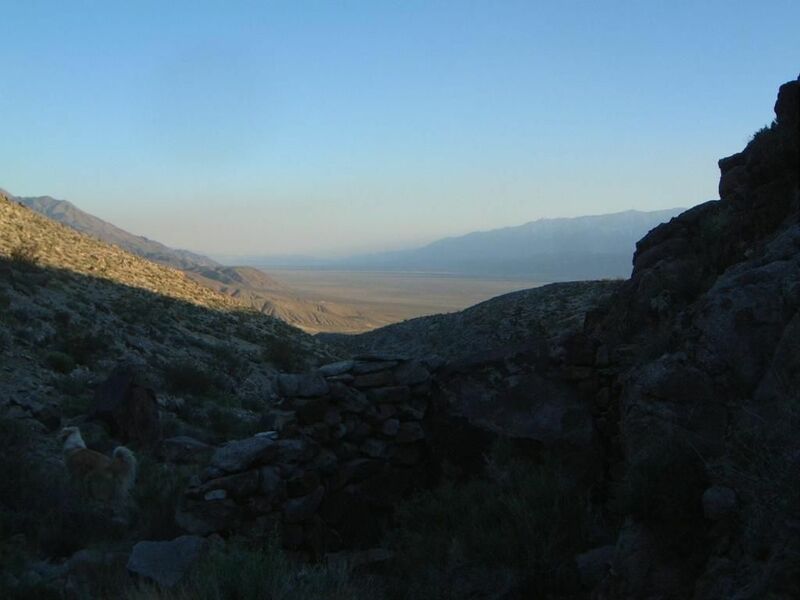 The Owens valley is, although very dried up and thirsty, still pristine with very little development and industrialized uses. 3,100 acres is going to be very disruptive to soils, wildlife, environment, air quality, night skies, visually it will be awful when viewed from both mountain ranges - the Sierra and Inyos. Tourists don't come to the Owens valley for industry, they come to escape it. I really don't see how this sort of resource export factory can be placed right down in the Owens valley - our zoning doesn't allow it. Why isn't a more appropriate location being chosen closer to Los Angeles? There is plenty of desert in the Antelope Valley that is already impacted by present day human use. If the Owens valley location is ultimately chosen I would like to see a portion of the electricity generated be set aside to benefit the Owens valley either by actual electrical current or by the monetary equivalent. There should be an equal amount of acreage (3,100) devoted to orchards, farming, community gardens, fruit stands (and related pumpkin patches, harvest festivals, etc), and open space devoted to the pursuit of recreational opportunities like fishing, camping, hiking, equestrian, and OHV, plus a developed park and sports complex to bring in youth and adult activities such as tournaments, soccer, softball, football, aquatics, etc. The maintenance, upkeep, and programming of this ranch (we can all be proud of) will be fixed into the electricity generation and the property taxes shall be assessed and paid by the land owner at market value. The proposed southern site has too many issues to be a valid consideration. It is too close to Boulder Creek RV resort, Owens river terminus wildlife habitat, private property, and will bring more dust to the town of Lone Pine. Historic lake rings viewable from the 395 would likely also be impacted, 3100 acres is just too much to stuff in that area. The northern site would be more appropriate but still there are concerns regarding proximity to the lower Owens river and what the factory would have on view shed, soils, historical sites like Owenyo and native American cultural encampments. Now as a member of an OHV club based in Inyo and Mono counties I'm very concerned about the loss of open space and access. Historical routes have been used by off road clubs (ours and others) going through both proposed sites, not to mention use by other visitors headed out for fishing or wildlife viewing, private land owners, and BLM mining claim holders. Well , I never heard back. But a few years later someone slipped me a link to a draft EIR. It was massive and needed to be cut into sections so the lay person could read it without their computer crashing. It was several hundred pages and might have topped one thousand. But deep within, hiding like an Easter egg, was the above letter. How proud it was to be finally published, and elated to no ends a second follow-up letter was penned. Hi Charles and Nadia, thanks for the opportunity to comment on your very onerous Draft EIR - "solar ranch". As I poured over the extensive boilerplate documentation and studies I was hard pressed to find anything that would qualify as a "ranch" as I know it. No livestock, crops, cowboys, great Pyrenees, or dressing for that matter. I'm still certain that this is a solar resource extraction facility of sorts. I've attached a photo taken from our land right up the street from the proposed solar factory. As you can see the view shed will be impacted, even though the Draft EIR claims no foul. I'm also not convinced that there is enough mitigation to Inyo County to offset this potential eye sore. Remember, people come to the Owens Valley to escape industry. This project is clearly not meshing with the current zoning of your lands, OS40. But, it appears that you are exempt from zoning under the guise of renewables? Must be nice. The project is too large and will impact the area between Manzanar and Independence with more blowing dust and displaced thirsty habitat. Maybe try downsizing it and repair/enhance adjacent lands. Be a good neighbor and I'll return the favor. In contrast to the Draft EIR I'm making this brief. Please let me know if you need any more information regarding this response. What makes a good neighbor? To be continued.